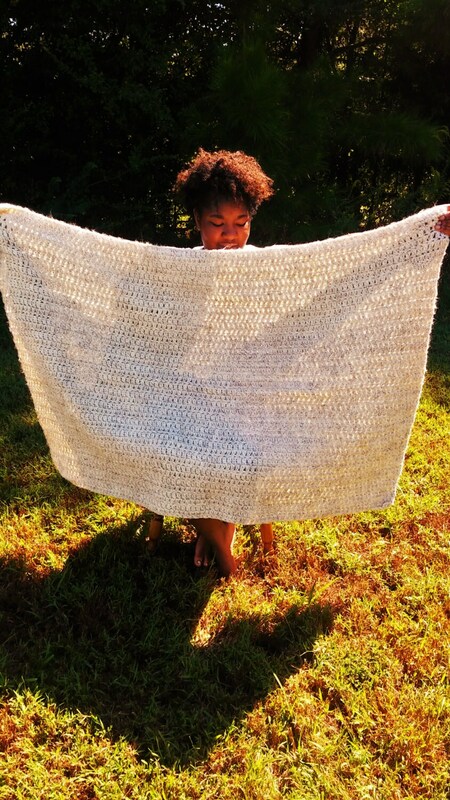 This thick and very soft crochet throw/blanket is 34x51 inches. It is very warm and thick. It is comprised of a wool blend yarn. 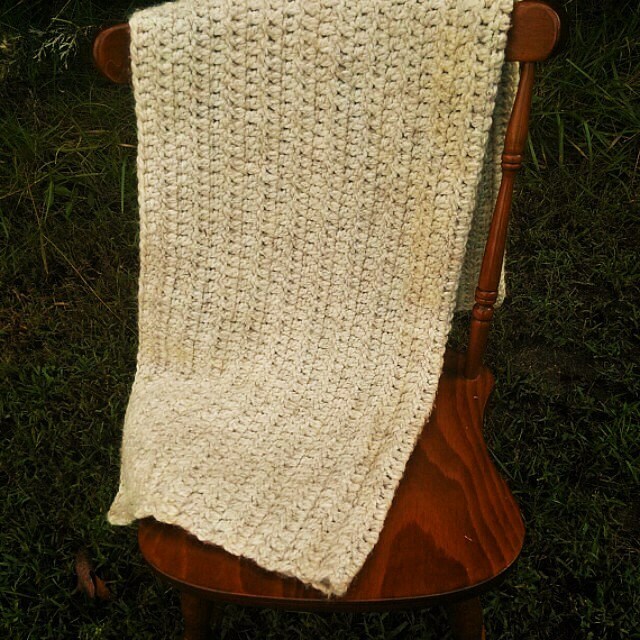 The thickness of this blanket is great for snuggling up with a book in these cooler months. 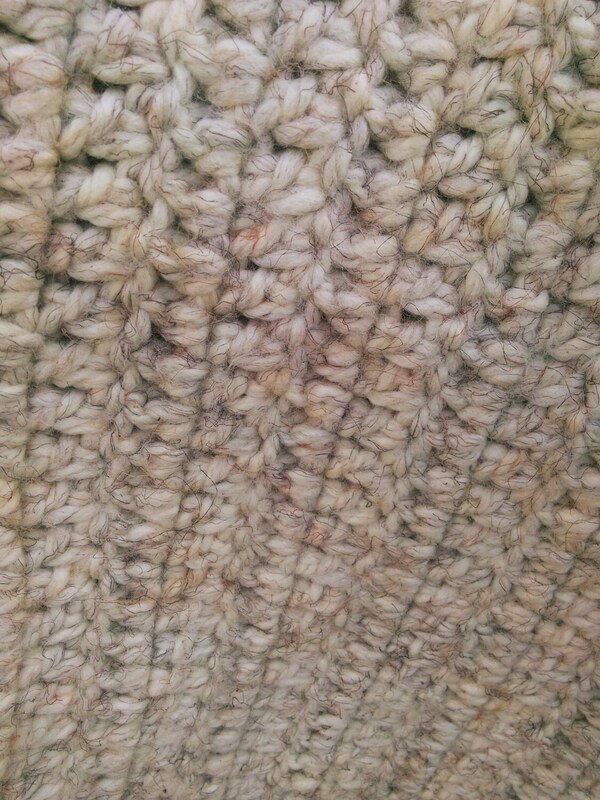 The color of this one is called "Wheat" and is a Lion Brand Wool blend yarn but it is available in any color you desire. Feel free to shoot me a message for customization.